4150901 HB205-1 KOMATSU HB205-1 Crawler excavator HB205 series. Spare Parts Catalog. Service (workshop) Manual. Operator's Instruction Manual. 4150902 HB205-1M0 KOMATSU HB205-1M0 Crawler excavator HB205 series. Spare Parts Catalog. Service (workshop) Manual. Operator's Instruction Manual. 4150904 HB215LC-1 KOMATSU HB215LC-1 Crawler excavator HB215 series. Spare Parts Catalog. Service (workshop) Manual. Operator's Instruction Manual. 4150905 HB215LC-1M0 KOMATSU HB215LC-1M0 Crawler excavator HB215 series. Spare Parts Catalog. Service (workshop) Manual. Operator's Instruction Manual. 4150907 PC100-1 KOMATSU PC100-1 Crawler excavator "PC 100" series. Spare Parts Catalog. Service (workshop) Manual. Operator's Instruction Manual. 4150908 PC100-2 KOMATSU PC100-2 Crawler excavator "PC 100" series. Spare Parts Catalog. Service (workshop) Manual. Operator's Instruction Manual. 4150909 PC100-3 KOMATSU PC100-3 Crawler excavator "PC 100" series. Spare Parts Catalog. Service (workshop) Manual. Operator's Instruction Manual. 4150910 PC100-5 KOMATSU PC100-5 Crawler excavator "PC 100" series. Spare Parts Catalog. Service (workshop) Manual. Operator's Instruction Manual. 4150911 PC100-6 KOMATSU PC100-6 Crawler excavator "PC 100" series. Spare Parts Catalog. Service (workshop) Manual. Operator's Instruction Manual. 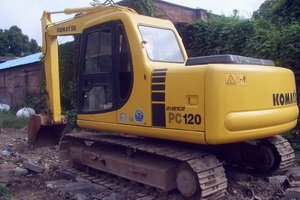 4150912 PC100L-1 KOMATSU PC100L-1 Crawler excavator "PC 100" series. Spare Parts Catalog. Service (workshop) Manual. Operator's Instruction Manual. 4150913 PC100L-2 KOMATSU PC100L-2 Crawler excavator "PC 100" series. Spare Parts Catalog. Service (workshop) Manual. Operator's Instruction Manual. 4150914 PC100L-3 KOMATSU PC100L-3 Crawler excavator "PC 100" series. Spare Parts Catalog. Service (workshop) Manual. Operator's Instruction Manual. 4150915 PC100L-5 KOMATSU PC100L-5 Crawler excavator "PC 100" series. Spare Parts Catalog. Service (workshop) Manual. Operator's Instruction Manual. 4150916 PC100L-6 KOMATSU PC100L-6 Crawler excavator "PC 100" series. Spare Parts Catalog. Service (workshop) Manual. Operator's Instruction Manual. 4150917 PC100N-6 KOMATSU PC100N-6 Crawler excavator "PC 100" series. Spare Parts Catalog. Service (workshop) Manual. Operator's Instruction Manual. 4150918 PC100S-3 KOMATSU PC100S-3 Crawler excavator "PC 100" series. Spare Parts Catalog. Service (workshop) Manual. Operator's Instruction Manual. 4150919 PC100U-2 KOMATSU PC100U-2 Crawler excavator "PC 100" series. Spare Parts Catalog. Service (workshop) Manual. Operator's Instruction Manual. 4150920 PC100U-3 KOMATSU PC100U-3 Crawler excavator "PC 100" series. Spare Parts Catalog. Service (workshop) Manual. Operator's Instruction Manual. 4150922 PC110R-1 KOMATSU PC110R-1 Crawler excavator "PC 110" series. Spare Parts Catalog. Service (workshop) Manual. Operator's Instruction Manual. 4150924 PC118MR-8 KOMATSU PC118MR-8 Crawler excavator "PC 118" series. Spare Parts Catalog. Service (workshop) Manual. Operator's Instruction Manual. 4150926 PC120-1 KOMATSU PC120-1 Crawler excavator "PC 120" series. Spare Parts Catalog. Service (workshop) Manual. Operator's Instruction Manual. 4150927 PC120-2 KOMATSU PC120-2 Crawler excavator "PC 120" series. Spare Parts Catalog. Service (workshop) Manual. Operator's Instruction Manual. 4150928 PC120-3 KOMATSU PC120-3 Crawler excavator "PC 120" series. Spare Parts Catalog. Service (workshop) Manual. Operator's Instruction Manual. 4150929 PC120-5 KOMATSU PC120-5 Crawler excavator "PC 120" series. Spare Parts Catalog. Service (workshop) Manual. Operator's Instruction Manual. 4150930 PC120-5K KOMATSU PC120-5K Crawler excavator "PC 120" series. Spare Parts Catalog. Service (workshop) Manual. Operator's Instruction Manual. 4150931 PC120-6 KOMATSU PC120-6 Crawler excavator "PC 120" series. Spare Parts Catalog. Service (workshop) Manual. Operator's Instruction Manual. 4150932 PC120-6E KOMATSU PC120-6E Crawler excavator "PC 120" series. Spare Parts Catalog. Service (workshop) Manual. Operator's Instruction Manual. 4150933 PC120-6E0 KOMATSU PC120-6E0 Crawler excavator "PC 120" series. Spare Parts Catalog. Service (workshop) Manual. Operator's Instruction Manual. 4150934 PC120-8 KOMATSU PC120-8 Crawler excavator "PC 120" series. Spare Parts Catalog. Service (workshop) Manual. Operator's Instruction Manual. 4150935 PC120LC-6 KOMATSU PC120LC-6 Crawler excavator "PC 120" series. Spare Parts Catalog. Service (workshop) Manual. Operator's Instruction Manual. 4150936 PC120LC-6E0 KOMATSU PC120LC-6E0 Crawler excavator "PC 120" series. Spare Parts Catalog. Service (workshop) Manual. Operator's Instruction Manual. 4150937 PC120S-3 KOMATSU PC120S-3 Crawler excavator "PC 120" series. Spare Parts Catalog. Service (workshop) Manual. Operator's Instruction Manual. 4150938 PC120SC-6 KOMATSU PC120SC-6 Crawler excavator "PC 120" series. Spare Parts Catalog. Service (workshop) Manual. Operator's Instruction Manual. 4150939 PC120SS-3 KOMATSU PC120SS-3 Crawler excavator "PC 120" series. Spare Parts Catalog. Service (workshop) Manual. Operator's Instruction Manual. 4150941 PC128US-1 KOMATSU PC128US-1 Crawler excavator "PC 128" series. Spare Parts Catalog. Service (workshop) Manual. Operator's Instruction Manual. 4150942 PC128US-2 KOMATSU PC128US-2 Crawler excavator "PC 128" series. Spare Parts Catalog. Service (workshop) Manual. Operator's Instruction Manual. 4150943 PC128US-8 KOMATSU PC128US-8 Crawler excavator "PC 128" series. Spare Parts Catalog. Service (workshop) Manual. Operator's Instruction Manual. 4150944 PC128UU-1 KOMATSU PC128UU-1 Crawler excavator "PC 128" series. Spare Parts Catalog. Service (workshop) Manual. Operator's Instruction Manual. 4150945 PC128UU-2 KOMATSU PC128UU-2 Crawler excavator "PC 128" series. Spare Parts Catalog. Service (workshop) Manual. Operator's Instruction Manual. 4150946 PC128UU-8 KOMATSU PC128UU-8 Crawler excavator "PC 128" series. Spare Parts Catalog. Service (workshop) Manual. Operator's Instruction Manual. 4150948 PC130-5 KOMATSU PC130-5 Crawler excavator "PC 130" series. Spare Parts Catalog. Service (workshop) Manual. Operator's Instruction Manual. 4150949 PC130-5K KOMATSU PC130-5K Crawler excavator "PC 130" series. Spare Parts Catalog. Service (workshop) Manual. Operator's Instruction Manual. 4150950 PC130-6 KOMATSU PC130-6 Crawler excavator "PC 130" series. Spare Parts Catalog. Service (workshop) Manual. Operator's Instruction Manual. 4150951 PC130-6E0 KOMATSU PC130-6E0 Crawler excavator "PC 130" series. Spare Parts Catalog. Service (workshop) Manual. Operator's Instruction Manual. 4150952 PC130-6K KOMATSU PC130-6K Crawler excavator "PC 130" series. Spare Parts Catalog. Service (workshop) Manual. Operator's Instruction Manual. 4150953 PC130-7 KOMATSU PC130-7 Crawler excavator "PC 130" series. Spare Parts Catalog. Service (workshop) Manual. Operator's Instruction Manual. 4150954 PC130-7K KOMATSU PC130-7K Crawler excavator "PC 130" series. Spare Parts Catalog. Service (workshop) Manual. Operator's Instruction Manual. 4150955 PC130-8 KOMATSU PC130-8 Crawler excavator "PC 130" series. Spare Parts Catalog. Service (workshop) Manual. Operator's Instruction Manual. 4150956 PC130-8B KOMATSU PC130-8B Crawler excavator "PC 130" series. Spare Parts Catalog. Service (workshop) Manual. Operator's Instruction Manual. 4150957 PC130-8C KOMATSU PC130-8C Crawler excavator "PC 130" series. Spare Parts Catalog. Service (workshop) Manual. Operator's Instruction Manual. 4150959 PC138US-2 KOMATSU PC138US-2 Crawler excavator "PC 138" series. Spare Parts Catalog. Service (workshop) Manual. Operator's Instruction Manual. 4150960 PC138US-8 KOMATSU PC138US-8 Crawler excavator "PC 138" series. Spare Parts Catalog. Service (workshop) Manual. Operator's Instruction Manual. 4150961 PC138US-8RR KOMATSU PC138US-8RR Crawler excavator "PC 138" series. Spare Parts Catalog. Service (workshop) Manual. Operator's Instruction Manual. 4150962 PC138US-8T KOMATSU PC138US-8T Crawler excavator "PC 138" series. Spare Parts Catalog. Service (workshop) Manual. Operator's Instruction Manual. 4150963 PC138USL-2 KOMATSU PC138USL-2 Crawler excavator "PC 138" series. Spare Parts Catalog. Service (workshop) Manual. Operator's Instruction Manual. 4150964 PC138USLC-2 KOMATSU PC138USLC-2 Crawler excavator "PC 138" series. Spare Parts Catalog. Service (workshop) Manual. Operator's Instruction Manual. 4150965 PC138USLC-8 KOMATSU PC138USLC-8 Crawler excavator "PC 138" series. Spare Parts Catalog. Service (workshop) Manual. Operator's Instruction Manual. 4150966 PC138USLC-10 KOMATSU PC138USLC-10 Crawler excavator "PC 138" series. Spare Parts Catalog. Service (workshop) Manual. Operator's Instruction Manual. 4150968 PC150-1 KOMATSU PC150-1 Crawler excavator "PC 150" series. Spare Parts Catalog. Service (workshop) Manual. Operator's Instruction Manual. 4150969 PC150-3 KOMATSU PC150-3 Crawler excavator "PC 150" series. Spare Parts Catalog. Service (workshop) Manual. Operator's Instruction Manual. 4150970 PC150-5 KOMATSU PC150-5 Crawler excavator "PC 150" series. Spare Parts Catalog. Service (workshop) Manual. Operator's Instruction Manual. 4150971 PC150-6K KOMATSU PC150-6K Crawler excavator "PC 150" series. Spare Parts Catalog. Service (workshop) Manual. Operator's Instruction Manual. 4150972 PC150HD-3 KOMATSU PC150HD-3 Crawler excavator "PC 150" series. Spare Parts Catalog. Service (workshop) Manual. Operator's Instruction Manual. 4150973 PC150HD-5K KOMATSU PC150HD-5K Crawler excavator "PC 150" series. Spare Parts Catalog. Service (workshop) Manual. Operator's Instruction Manual. 4150974 PC150LC-1 KOMATSU PC150LC-1 Crawler excavator "PC 150" series. Spare Parts Catalog. Service (workshop) Manual. Operator's Instruction Manual. 4150975 PC150LC-3 KOMATSU PC150LC-3 Crawler excavator "PC 150" series. Spare Parts Catalog. Service (workshop) Manual. Operator's Instruction Manual. 4150976 PC150LC-6K KOMATSU PC150LC-6K Crawler excavator "PC 150" series. Spare Parts Catalog. Service (workshop) Manual. Operator's Instruction Manual. 4150977 PC150LGP-6K KOMATSU PC150LGP-6K Crawler excavator "PC 150" series. Spare Parts Catalog. Service (workshop) Manual. Operator's Instruction Manual. 4150978 PC150NHD-3K KOMATSU PC150NHD-3K Crawler excavator "PC 150" series. Spare Parts Catalog. Service (workshop) Manual. Operator's Instruction Manual. 4150979 PC150NHD-5K KOMATSU PC150NHD-5K Crawler excavator "PC 150" series. Spare Parts Catalog. Service (workshop) Manual. Operator's Instruction Manual. 4150981 PC158US-2 KOMATSU PC158US-2 Crawler excavator "PC 158" series. Spare Parts Catalog. Service (workshop) Manual. Operator's Instruction Manual. 4150982 PC158USLC-2 KOMATSU PC158USLC-2 Crawler excavator "PC 158" series. Spare Parts Catalog. Service (workshop) Manual. Operator's Instruction Manual. 4150984 PC160-6K KOMATSU PC160-6K Crawler excavator "PC 160" series. Spare Parts Catalog. Service (workshop) Manual. Operator's Instruction Manual. 4150985 PC160LC-7 KOMATSU PC160LC-7 Crawler excavator "PC 160" series. Spare Parts Catalog. Service (workshop) Manual. Operator's Instruction Manual. 4150986 PC160LC-7 Tier3 KOMATSU PC160LC-7 Tier3 Crawler excavator "PC 160" series. Spare Parts Catalog. Service (workshop) Manual. Operator's Instruction Manual. 4150987 PC160LC-7E0 KOMATSU PC160LC-7E0 Crawler excavator "PC 160" series. Spare Parts Catalog. Service (workshop) Manual. Operator's Instruction Manual. 4150988 PC160LC-7K KOMATSU PC160LC-7K Crawler excavator "PC 160" series. Spare Parts Catalog. Service (workshop) Manual. Operator's Instruction Manual. 4150989 PC160LC-8 KOMATSU PC160LC-8 Crawler excavator "PC 160" series. Spare Parts Catalog. Service (workshop) Manual. Operator's Instruction Manual. 4150990 PC160LC-8LGP KOMATSU PC160LC-8LGP Crawler excavator "PC 160" series. Spare Parts Catalog. Service (workshop) Manual. Operator's Instruction Manual. 4150992 PC170LC-7K KOMATSU PC170LC-7K Crawler excavator "PC 170" series. Spare Parts Catalog. Service (workshop) Manual. Operator's Instruction Manual. 4150994 PC180LC-5K KOMATSU PC180LC-5K Crawler excavator "PC 180" series. Spare Parts Catalog. Service (workshop) Manual. Operator's Instruction Manual. 4150995 PC180LC-6K KOMATSU PC180LC-6K Crawler excavator "PC 180" series. Spare Parts Catalog. Service (workshop) Manual. Operator's Instruction Manual. 4150996 PC180LC-7E0 KOMATSU PC180LC-7E0 Crawler excavator "PC 180" series. Spare Parts Catalog. Service (workshop) Manual. Operator's Instruction Manual. 4150997 PC180LC-7K KOMATSU PC180LC-7K Crawler excavator "PC 180" series. Spare Parts Catalog. Service (workshop) Manual. Operator's Instruction Manual. 4150998 PC180LLC-5K KOMATSU PC180LLC-5K Crawler excavator "PC 180" series. Spare Parts Catalog. Service (workshop) Manual. Operator's Instruction Manual. 4150999 PC180NLC-6K KOMATSU PC180NLC-6K Crawler excavator "PC 180" series. Spare Parts Catalog. Service (workshop) Manual. Operator's Instruction Manual. 4151000 PC180NLC-7E0 KOMATSU PC180NLC-7E0 Crawler excavator "PC 180" series. Spare Parts Catalog. Service (workshop) Manual. Operator's Instruction Manual. 4151001 PC180NLC-7K KOMATSU PC180NLC-7K Crawler excavator "PC 180" series. Spare Parts Catalog. Service (workshop) Manual. Operator's Instruction Manual. 4151003 PC190LC-8 KOMATSU PC190LC-8 Crawler excavator "PC 190" series. Spare Parts Catalog. Service (workshop) Manual. Operator's Instruction Manual. 4151004 PC190NLC-8 KOMATSU PC190NLC-8 Crawler excavator "PC 190" series. Spare Parts Catalog. Service (workshop) Manual. Operator's Instruction Manual.